Introducing The Bed Linen Blog from The Bed Linen Company. Welcome to the first blog installment of The Bed linen Company Blog from The Bedlinen Company. 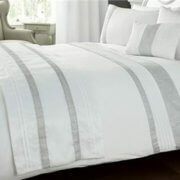 Supplying luxurious bedlinen from www.thebedlinencompany.ie at affordable prices. Irelands leading supplier of Quality Bed linen. Add some Glamour to your bedroom with luxury bed linen at affordable prices from the bed linen company. Don’t forget you can find the The Bed Linen Blog updated with new linen news weekly. We have designs in an easy care 100% polyester fabric finish for durability and a luxurious finish. The Bed Linen Blog will introduce you to these in the coming weeks. We also have polycotton fabrics for comfort and softness. Matching accessories such as Throws, Bedspreads, Matching Quilted Bed Runners, Neck Rolls, Pillow Shams and Bolster cushions complete the feeling of luxury in your bedroom. The quilted bed runners are an easy care 100% polyester finish for a sleek luxury feel. A matching quilted bed runner compliment’s this look and adds a touch of hotel indulgence to you room. Filled bolster cushions make it a space to lounge in during the day time as well as night time. For those finishing touches, there are matching bedspreads and luxury throws for selected designs. A large variety of colours and designs complete your look and create a luxury feel in your bedroom. Accessories can be mixed and matched between the colours to create a unique look. Single duvet cover sets include one pillowcase. There are two pillowcases with the double, king size and super king size bed linen sets. All products are machine washable -please read the label for washing instructions. Other bedlinen available from The Bedlinen Company which we will introduce you to in the coming weeks on The Bed Linen Blog includes Children’s designs and bed sets from baby blankets to teenager’s bed sets. Designs range from Ballerina to Farmyard, Nautical to planets. Boxed luxury baby blankets from Manterol Design are also available. 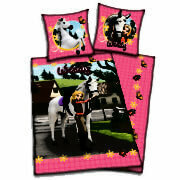 Children’s designs are available in Single, Double and King Size. Matching throws and curtains are also available in selected bed set styles. 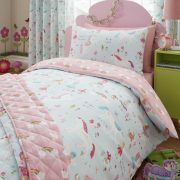 Many other designs available from our online store www.thebedlinencompany.ie. All sizes available from Single, Double, King & Super King Sizes. Why don’t you transform your room with a touch of Morocco with our Kasbah Design in Either Blue or Terracotta. Go on Safari with our Ethnic Animal Print Designs or Freshen up with floral design bed sets. The Bed Linen Blog tells you all about at affordable process from The Bed Linen Company.